Nothing says comfort food better than homemade mac n cheese, however, if you are looking to jazz it up a bit for a special dinner you need to serve this wildly scrumptious Gouda Mac n Cheese recipe. Mac n cheese has been an American classic cuisine since the beginning of the formation of this great country. The creamy combo made its way to the United States courtesy of President Thomas Jefferson who, while visiting France, relished the French’s ability to create flavorful pasta dishes. He brought back noodle recipes and a pasta machine, which was not available in the Colonies. He then served macaroni and cheese at an 1802 state dinner. From then on, its popularity grew to become an American classic for young and old. 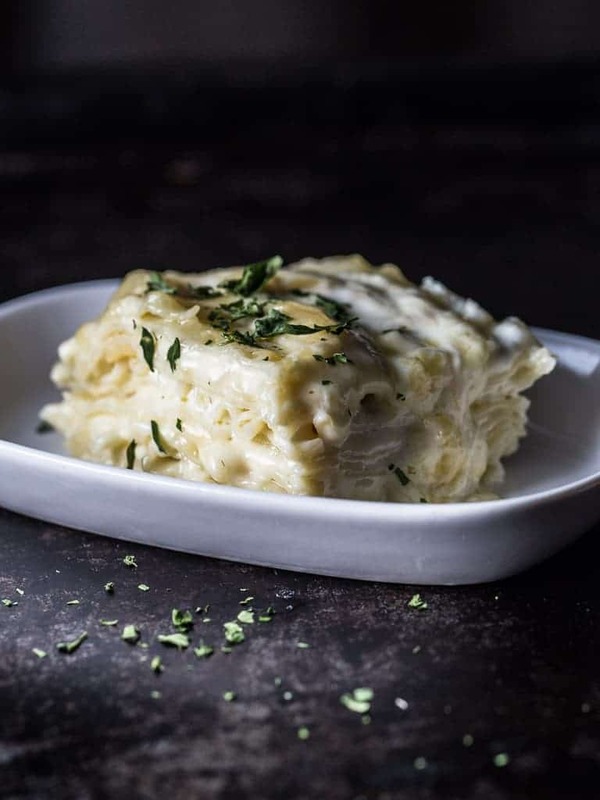 We have an outstanding restaurant in our area, Frog Hollow, that has created an inventive twists on this comfort food classic by making it with Gouda and lasagna noodles. The restaurant is so popular in our area that it can be a challenge to get a table some weekends so I wanted to try to create my own version of the dish to enjoy at home when we have a special dinner party or we can not get a reservation. I created this purely on tasting theirs trying to guess the ingredients. I was very happy with the way it turned out and so was my family. Nothing says comfort food better than homemade mac n cheese however, if you are looking to jazz it up a bit for a special dinner you need to serve this wildly scrumptious Gouda Mac n Cheese recipe. Add nutmeg, salt and pepper, stir until blended and remove from heat. Drain noodles, cut in ½ with scissors. Spread a light layer of cheese sauce and then continue to layer noodles and cheese sauce until all are used. Be sure to save a little sauce to top the final layer of noodles with. I am drooling over here! I love gouda in mac&cheese! I’ve never used lasagna noodles before when making it, though…sounds even better! !